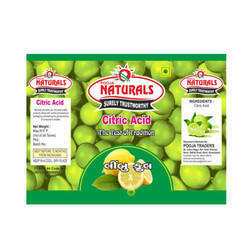 Prominent & Leading Manufacturer from Ahmedabad, we offer citric acid limbu na phool. Being quality centric organization, We are one of the Renowned Citric Acid Limbu Na Phool suppliers in Ahmedabad, Gujarat, India.that is manufactured at par with global industry standards.Characterized by accurate composition, our citric acid is free from toxic elements. It’s an acid compound naturally found in citrus fruits, but it can also be derived from mold-based fermentation, Molecular Formula of Citric acid is C6H8O7. The formulation also finds usage as antioxidant, plasticizer and detergent builder. Citric acid is a weak organic acid. It is colorless or white crystalline powder that finds usage in foods & beverages as an acidulant, flavouring and preservative. it is available in fruits and vegetables, most notably citrus fruits. Riding on unfathomable volumes of industrial expertise. Looking for Citric Acid ?